31 July-4 October 1915 - No17 General Hospital - evacuated sick from Gallipoli to Egypt; 16-20 September 1916 - wounded in action - admitted to 1 NZ Field Hospital; 25 July 27 September 1917 - various field hospitals France - accident while not on duty; 13-18 February 1918 - hospital France - sick. William was born at Kakahu Bush, near Geraldine, on 10 October 1876, the eldest son of John Douglas (1845-1910) and Janet (1846-1930, nee Ramsay) Scobie. William's parents had come out to New Zealand on the Michael Angelo, arriving in Dunedin on 28 May 1873 with two daughters. The family farmed in the Geraldine district where another six children were born, including William. William received his education at the Hilton and Timaru Main Schools. On the outbreak of the First World War William was working in the Shannon area as a flax cutter and enlisted at Hawera on 19 August 1914. His enlistment papers described him as being born in 1881, this would have made him aged 32, but he must have been keen to volunteer as he had taken a few years off, as he was actually aged 38, being born in 1876! He was single, Presbyterian, 5 foot 4 inches tall, weighed 130 pounds, of dark complexion, brown eyes, dark brown hair, chest measuring 33 ½ to 36 inches, and his teeth were good. After initial training in the Field Artillery, he left with the Main Body from Wellington on 15 October 1914 aboard HMNZT 7 or 10 SS Arawa, or Limerick, bound for Suez, Egypt. In Egypt, William’s unit, 1 Brigade, Number 3 Battery, was involved in repelling the Turkish attacks on the Suez Canal. Soon after this the unit embarked for the Dardanelles on 12 April 1915, and would have been among the first to land on the shores at ANZAC Cove. Here they operated 18 pounder field guns. The conditions not being the best on Gallipoli, he was taken sick and evacuated to No 17 General Hospital on 31 July, followed by admittance to hospital in Cairo until he was eventually discharged back to duty at Zeitoun on 4 October. He continued to serve in the Egyptian theatre with No 3 Battery, and was promoted to acting Bombardier on 27 February 1916, before embarking for France on 6 April. This promotion was confirmed in the field on 10 July 1916. The NZ Field Artillery were to be heavily involved in all the major battles on the Western Front, which was bound to take a toll. 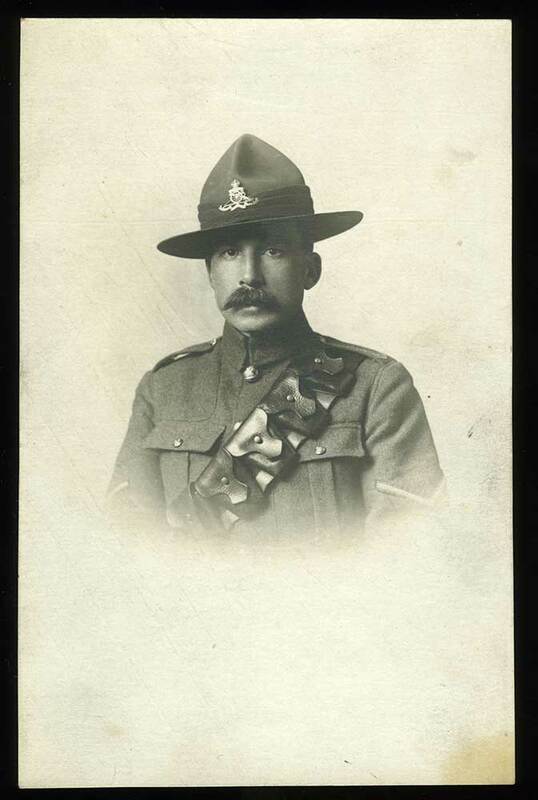 On 16 September 1916 William was wounded in action and admitted to 1 NZ Field Ambulance. The wound must have been relatively minor though as he re-joined his unit on 20 September. Some months later, on 25 July 1917, William had need of medical help again when he had an accident while he was not on duty. He spent the next few weeks in various field hospitals, before re-joining his unit on 27 September. From 4 to 22 January 1918 he had leave in the UK, and in mid-February, had few days sick in hospital. On 14 April 1918 he was detached to the UK on a tour of duty with the NZ Field Depot at Aldershot, where he stayed until being classified medically unfit (neurasthenia), on 20 August. He was then marched into the Discharge Depot at Torquay, where he remained until embarking at Plymouth for New Zealand, on SS Ulimaroa, on 7 November 1918. William was discharged from the army on 16 January 1919, as no longer physically fit for war service, on account of illness contracted on active service. Having served a total of 4 years and 151 days, William was later awarded the 1914-1915 Star, British War Medal and Victory Medal. In 1919 William was living in Palmerston North, still listed as a soldier, but by 1928 was in Foxton working as a flax cutter. From 1935 to 1938 he was at Pukeroa, Hunterville, employed as a farm hand, and in 1946, was at Shannon working as a caretaker. William died at Pukekohe on 14 October 1951, aged 75, and is buried in the Pukekohe Cemetery.